Hello everyone! The weekend is finally here! I want to start off by apologizing for my photos today. I had the hardest time with the settings cause I chose the wrong side of the parade route to sit on and the sun was out to get me. Ha! Anyway, normally I would just wait to go back and get better photos, but since I am a Follies addicted I have a feeling that I’m going to be spending the rest of October over at the American Waterfront Park. Especially since Follies will be ending after this month. 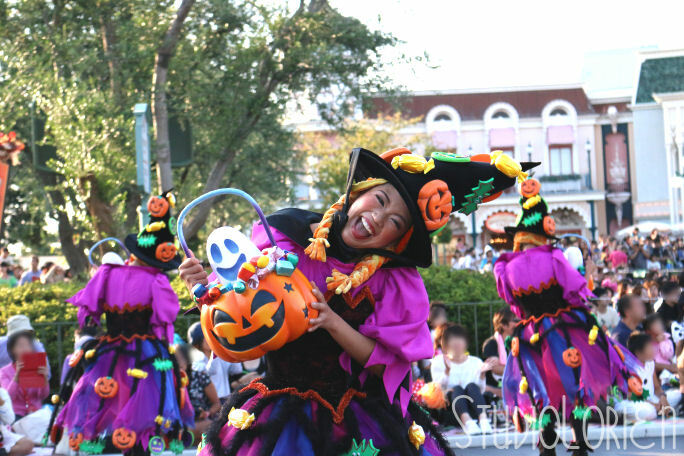 This year’s Happy Halloween Harvest is pretty much identical to last year’s except for the new pose game. Dancers will do a certain pose and guests reply with a corresponding pose. The poses are all very cute and not surprisingly it gets faster and faster. Squash -> Pumpkin! Cat -> Meow! Ghost -> Scream! Candy -> Gimme! Trick -> Stop! 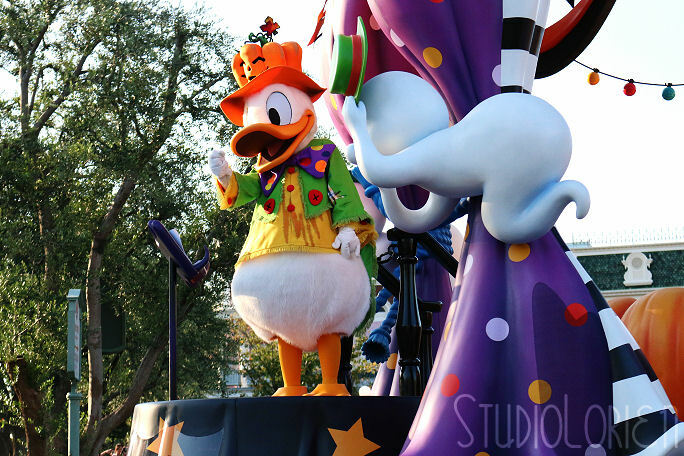 I’m pretty certain Donald’s hat is supposed to be a pumpkin, but it really looks like a paprika or bell pepper from the top. 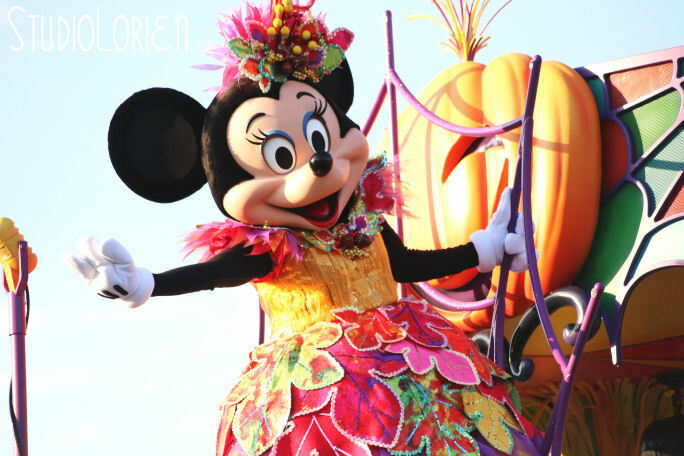 All the dancers look absolutely adorable in their Halloween costumes! 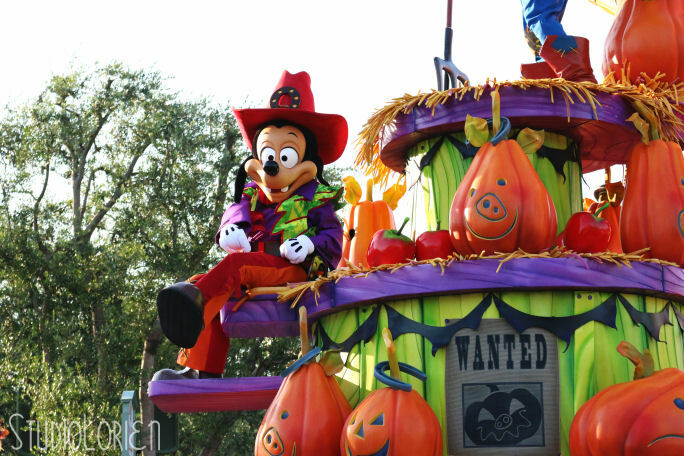 I love the pumpkins on Max and Goofy’s float! 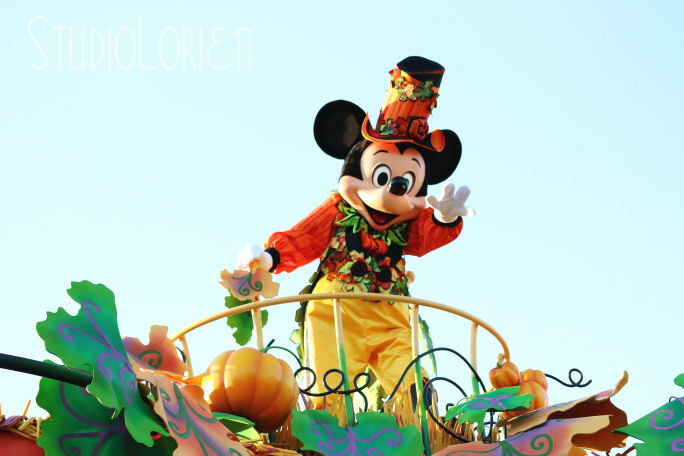 Mickey looking as dashing as ever! 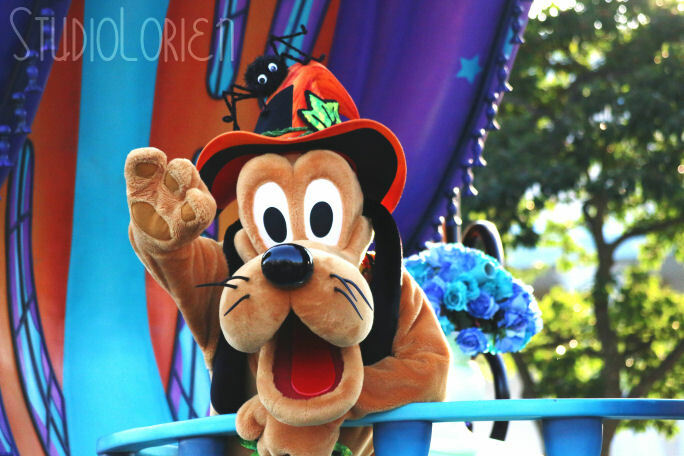 Pluto with a spider on his hat. Look at his adorable paws! Mad scientist Angel! Love the glasses! 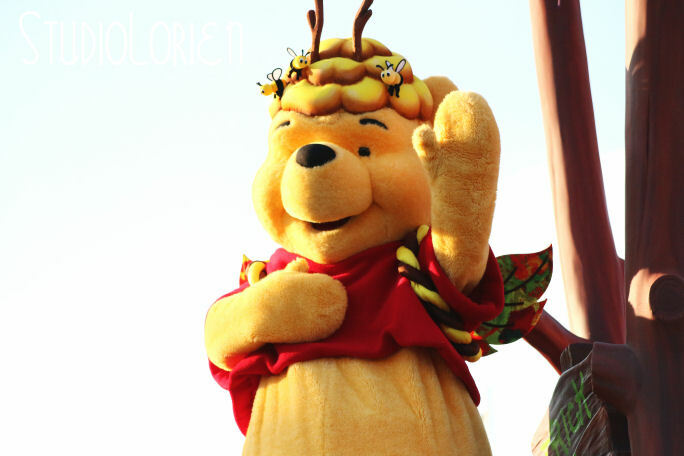 Pooh looking like he’s giving a speech or trying to convince us that he comes in peace. So, I know that he’s supposed to be a honey bee, but my friend and I think it looks like his brain is coming out of his head. We decided that’s not possible though because Pooh is just stuffed with fluff and doesn’t have a brain. 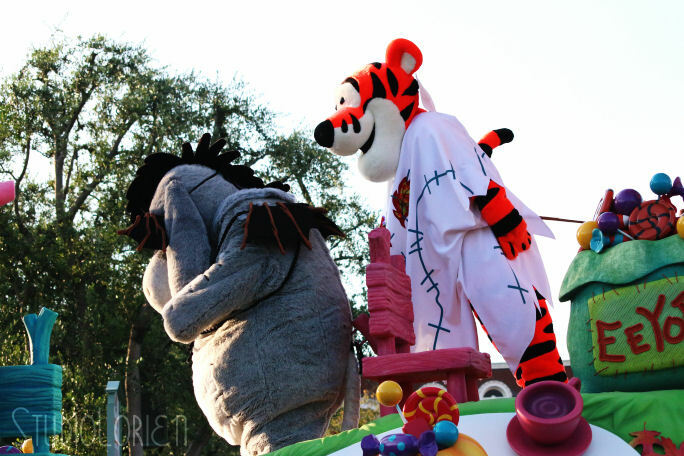 Tigger was just leaning the whole time. I think he was trying to scare Eeyore. 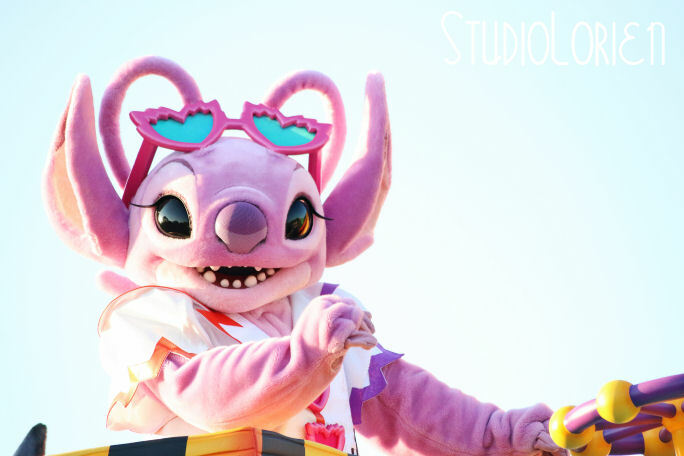 And of course the super lovely Minnie! I love her dress so much! Personally, I like the show mode from last year better, but the poses from this year are still very cute. 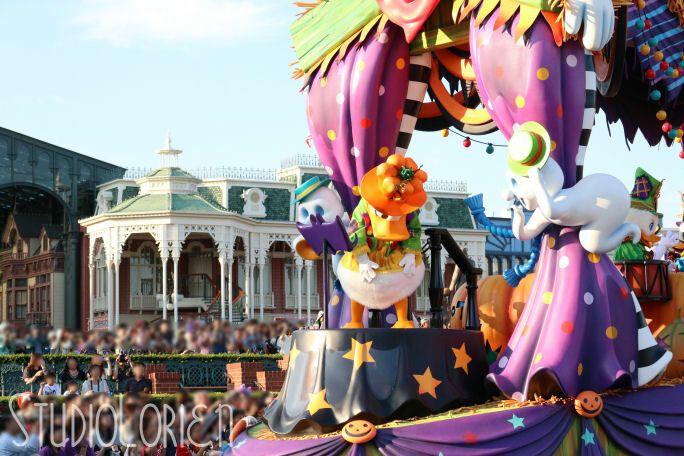 The music throughout the parade is very upbeat and catchy. It’s definitely worth watching and very fun. If you’re going to sit for 3 hours to watch the parade make sure you check where the sun is and where it’s going to go down so you don’t make the same mistake as I did. Especially if you are planning to take photos or record videos. Hehe. Don’t wanna pay for shipping? There’s a digital download version too!